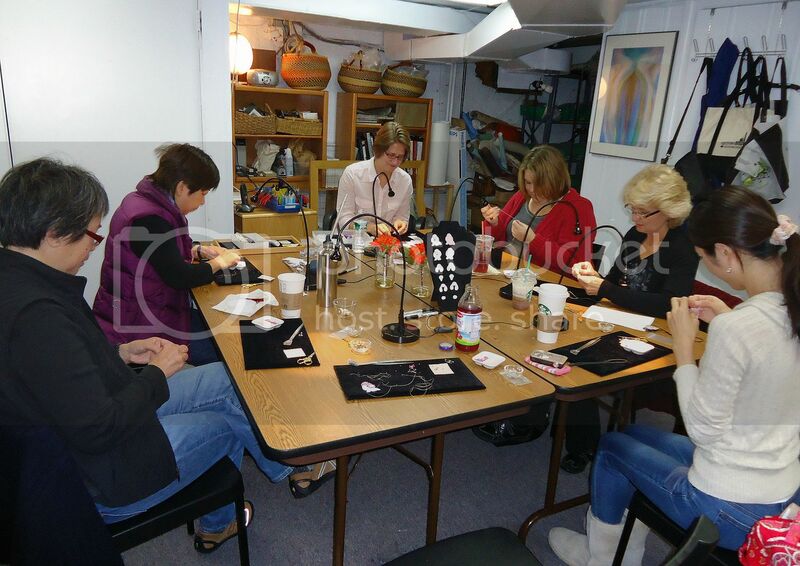 Yesterday’s bead embroidery workshop at Boston Bead Company was great! I thought I would be nervous, (since the class sold out AND it was my first time teaching) but I really wasn’t nervous at all. I came prepared with felt poodle forms for everyone to bead, as well as several examples which were partially beaded to show each section as we worked. The shop manager (who also took the class) said my examples helped a lot! Beading seems to be really the thing to do. I’ve just heard from several friends who have taken up serious beading.